O creator of universe, I have got my mind and my body from You. My wealth too belongs to You. You are my God and my Master. Body and soul and all riches are Yours. Yours is the Power, O Lord of the World. Forever and ever, You are the Giver of Peace. I bow down and fall at Your Feet. I act as it pleases You, as You cause me to act, Kind and Compassionate Dear Lord. O God, from You I receive everything and You are my ornament. Whatever You give me, brings me happiness. Wherever You keep me, is heaven. You are the Cherisher of all. Meditating, meditating in remembrance, Nanak has found peace. Twenty four hours a day, I sing Your Glorious Praises. All my hopes and desires are fulfilled; I shall never again suffer sorrow. 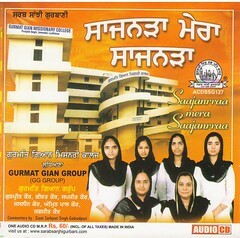 I really enjoyed Shabad Kirtan by Sikh women. Where can I get a CD of their collection? 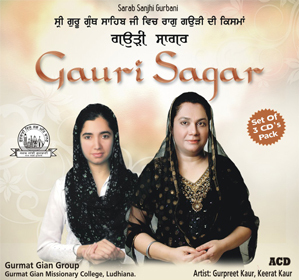 Thanks for appreciating the kirtan by Gurmat Gian Group. 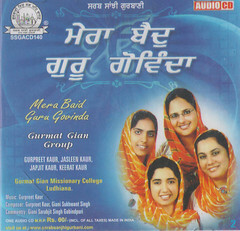 This Group has 5 Cds so far. All of these except the No. 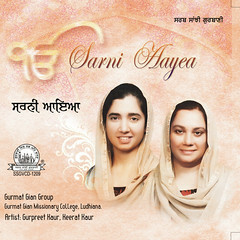 3 (Tere Kavan Kavan) are by Sarab Sanjhi Gurbani (Texla). 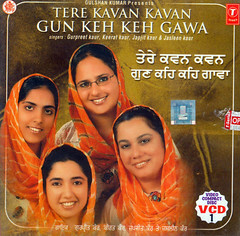 Tere Kavan Kavan Gun Keh Keh Gava is by T Series. — may be contacted as they do sell online. 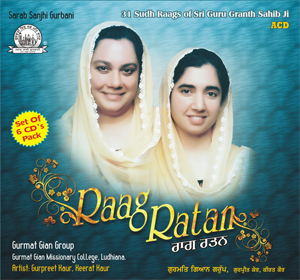 Very well sung.I shall appreciate if I could listen to some shabads/ ragas time specific ie. early morning, evening and night. May God bless your Group. Wishing you the best.